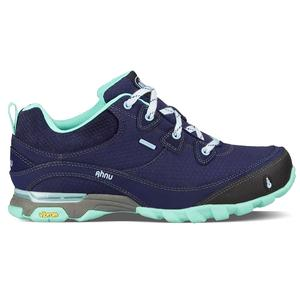 Ready to take on wet terrain, the Ahnu Coburn Low Waterproof Hiking Shoes have low coverage for a lightweight, nimble shoe that's comfortable on and off the trail. 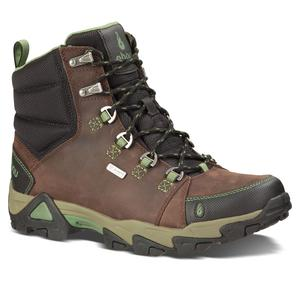 The Ahnu Coburn Waterproof hiking boots boast stout protection from the elements, sturdy leather construction and good support for worry-free performance through the miles. 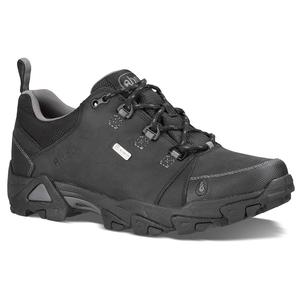 The Ahnu Montara II Waterproof hiking shoes work great for traditional or fast-paced hiking, as well as all-day walking, thanks to a light, responsive and waterproof platform. Take to the trails in the Ahnu Montara boots, which supply waterproof, breathable protection thanks to eVent(R) membranes, along with sturdy construction and light support for light day hikes.